Pestbusters have been serving the city of Leicester for many years with pest control and rodent control services. 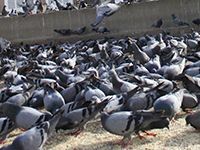 We are local specialists in all aspects of vermin control, rat control, insect control, bird control and rodent control across Leicester and the surrounding areas. We offer a 24 hour a day, 7 days a week service which means that we are always available to deal with your pest infestation problems. Pestbusters provide professional pest control services throughout Leicester and the East Midlands. 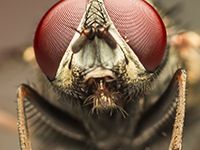 We have worked on a broad range of pest infestation problems including complex jobs where there has been limited accessibility and problems locating the original source of the issue. Our industry experience and access to the very latest pest control products and equipment means that we can handle most complexities that present themselves so if you would like some advice on a pest problem that is causing you some stress then please get in touch. We will work closely with you to identify the best solution to your problem so you can have peace of mind that we are focused on your best interests. 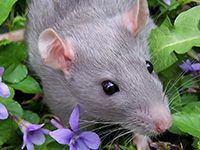 We offer a competitively priced pest control and rodent control services throughout Leicester and we can work across a range of different problems both large and small. We have worked with private home owners, business owners, schools, leisure centres, retail operations and commercial premises across the whole Leicestershire County and we have many satisfied customers in our portfolio. Pest infestations can be highly disruptive, cause health issues, damage the environment and also lose you business so the quicker you deal with the problem the less damage there will be. We act quickly and discreetly to deal with your pest infestation problem so that you can return to business as usual as soon as possible and enjoy being pest-free once again. We can also give you free advice on how you could avoid pest problems in the future. Leicester is the largest city in the East Midlands and has one of the highest ethnic populations in the UK. Over 40% of the population is made up from immigrants and this has impacted on the cultural identity of the city. There are several Hindu, Sikh and Muslim places of worship, restaurants and businesses to be found and Pestbusters is proud to be serving such an ethnically diverse city with high quality pest control services. We have many years experience in helping customers in and around Leicester. 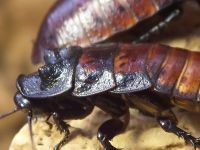 If you are based in Burton upon Trent, Loughborough, Melton Mowbray, Oakham, Lutterworth, Hinckley, Rugby or Market Harborough and need help with a pest infestation problem then please give us a call. We can provide you with a cost effective pest control and rodent control solution so contact us now on 08000 35 1000 and speak to one of our expert team.